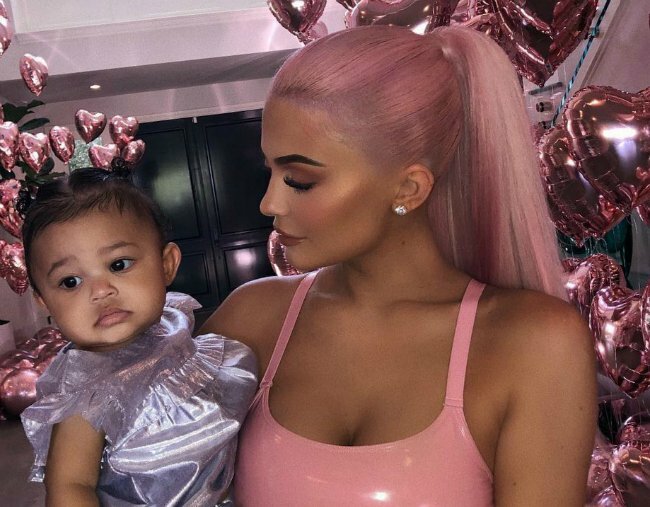 Kylie Jenner's Christmas present for Stormi is the most extra thing we've ever seen. Kylie Jenner is simply every parent at Christmas: buying their kids’ love to make magical memories. And as every parent knows, doing so is as expensive as it is unnecessary. So, with that in mind – that Jenner is just a normal 21 year-old multi-millionaire mum – please let us present to you the gift she plans to give her ten-month-old daughter, Stormi. Yes, it’s a Louis-Vuitton-monogram-covered mini Lamborghini. A screenshot of the perfectly reasonable gift for ten-month-old Stormi. Image: Instagram. But before you judge Jenner, remember the parent-gifting rules? Is it expensive? Yes? Is it unnecessary? Also yes. So really, the giving of such a gift to a baby is what any of us would do in Jenner&apos;s position, right? 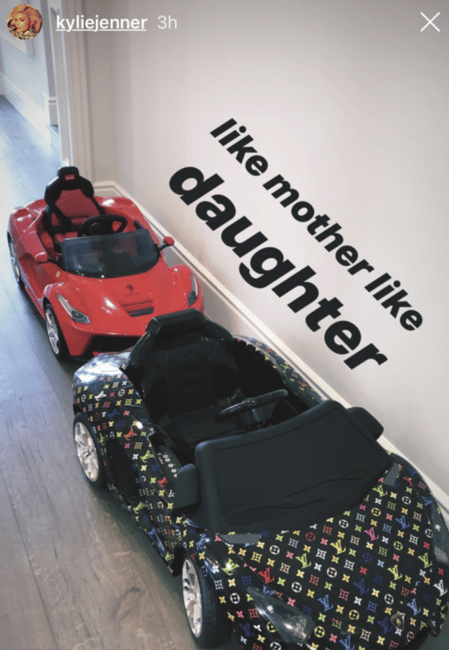 In any case, the &apos;like mother, like daughter&apos; caption is explained by the fact that Jenner owns at least one such supercar herself, which she posed with in September. As we all know, the Kardashians have a penchant for the finer things in life - so it won&apos;t surprise you to learn that Stormi isn&apos;t the only one who&apos;s receiving a luxury vehicle as Christmas gift. Yes, that&apos;s right, Jenner got one too. Her baby-daddy Travis Scott gifted her a custom, icy blue Rolls-Royce earlier this month, complete with a glitter ceiling and monogrammed interior. While Jenner&apos;s Rolls-Royce is priced in excess of $320K, a version similar to Stormi&apos;s mini - without the LV print - is available on Amazon for just under $400. Look, in Jenner&apos;s defence, it must a challenge to come up with increasingly amazing, fresh and exciting toys, when Stormi is already accustomed to a lifestyle most of us could only dream of. It&apos;s a problem all parents face...except for Jenner, it&apos;s just a tad next level. stormi takes the snow ???? It&apos;s also important to note that Jenner has earned her money: this year, she was named one of the five richest celebrities in the US after Forbes released its annual list of America’s Wealthiest Celebs. She tied for fifth place with Jay-Z (with a reported net worth of $1.2 billion AUD). So who can blame her for wanting to spoil her precious babe at Christmas?